How can you NOT love this? A tiny gesture that speaks volumes. 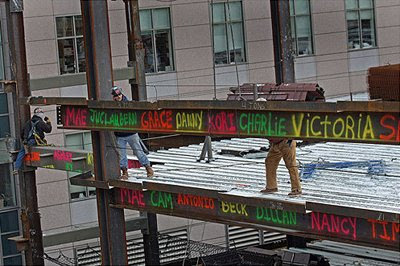 Every day, children who come to the clinic write their names on sheets of paper and tape them to the windows of the walkway for ironworkers to see. 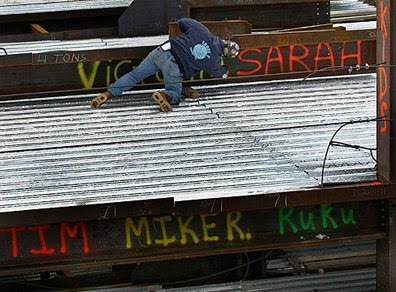 And, every day, the ironworkers paint the names onto I-beams and hoist them into place as they add floors to the new 14-story Yawkey Center for Cancer Care. that's amazing - very touching, what a tribute to those kids. wow... how awesome is that!